How to Add a WhatsApp Widget to Your Lock Screen? 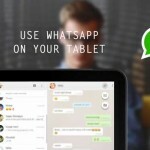 – WhatsApp has become the most popular messaging app all over the world. 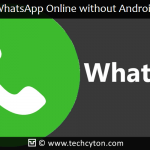 Most of the people now use WhatsApp as the primary mode of communication and that’s the reason that tips and tricks become very important for utilizing WhatsApp to its full extent. Today, in my post I would share one such trick with you. I will tell you how to add a WhatsApp widget to your lock screen? In the busy schedule of the modern world, the time has become very important. Who wants to waste time on unlocking the screen to open an app again and again to check the messages? 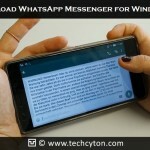 When you have WhatsApp widget in your lock screen, you can easily and quickly access to your messages without bother about unlocking the phone and opening the apps. It will surely save a lot of your time. This method can be used to add a WhatsApp Widget to the lock screen in most of the Samsung phone. Follow the steps mentioned below to easily add a WhatsApp widget to your lock screen. Step 1: Go to the home screen of your smartphone. Step 2: Open Setting and click on Lock Screen. Step 3: Under the Lock Screen section, tap on Shortcuts. 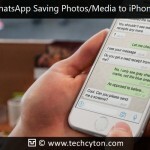 Step 4: Click on ChatOn icon and from the list of the applications, select WhatsApp. Wasn’t this an easy method to get WhatsApp widget to your lock screen? Now, enjoy chatting right from your locked screen. 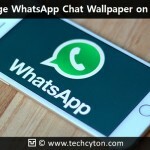 In my second method to add a WhatsApp Widget to your lock screen, I will tell you what changes you can make in WhatsApp to gain the access of the WhatsApp messages right from the lock screen. Step 2: Go to the WhatsApp Settings. Step 3: Under the section of Message Notification, tap on Notifications and Enable Popup Notification. Step 4: Select the option that suits you best. When you select the ‘Screen Off option’ a pop-up message will appear in your smartphone, no matter whether the screen is on or off and it will remain in the lock screen till you check the pop-up message. The third method to add a WhatsApp widget to your lock screen can be used in any Android smartphone with Android 4.2 Jelly Beans and above. Follow the instructions mentioned below to easily add a WhatsApp widget to your lock screen. Step 1: Open the home page. Step 3: Check for the option, “Enable Custom Widgets”. Step 4: Lock your Android smartphone and wake it up again. Step 5: Maximize the lock screen by swiping down. Step 6: Swipe left to add a new custom widget. 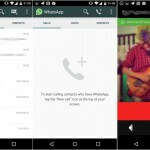 Step 7: Select WhatsApp from the application list. Step 8: Lock your screen again and swipe left to easily gain access to your WhatsApp message. These were the three methods to add a WhatsApp widget to your lock screen. Don’t forget to mention which method worked for you. Feel free to ask if you are facing any kind of trouble in adding WhatsApp widget to your lock screen.